For this month’s meeting (Tuesday June 27th! 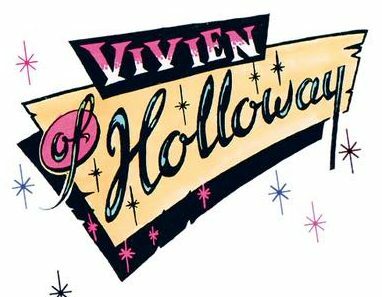 ), we are very excited to have the vintage fashion queen herself… Vivien of Holloway coming to talk to us!! We would love you all to join us wearing your own take on vintage fashion and we’ll be preparing some delicious cocktails too! We will be asking Vivien all about her being a local businesswoman, and all about fashion and the clothing industry. There will a Q&A session to give you all opportunity to ask her anything, so come prepared! It all starts 7pm, with our social half hour as usual to 7:30 – the perfect time to get yourself a drink and get to know people! Visitors are more than welcome! In fifties style… Be there or be square! !